1. 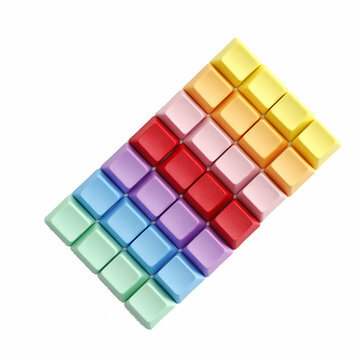 Colorful individual supplement caps design, make your keyboard a little special. 2. PBT texture, grainy obvious and not easy to shine as ABS keycaps. 3. None printed blank keycaps, R1 R2 R3 R4 totall 4pcs in one set. 5. Keycaps only, keyboard is not included.